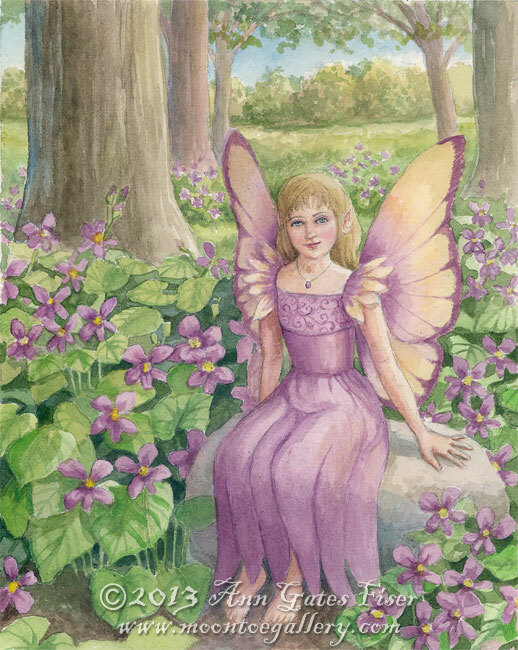 Part of a flower fairy calendar I’m doing. What month should she be? Probably one in the spring- maybe May. That’s when my violets seem to bloom. She’s beautiful, Ann. Lots of detail in this. Love the color. She looks so pensive.